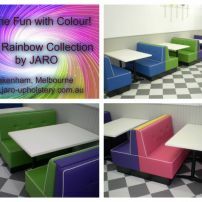 commented on "Bright Banquette Seats custom made for an ice cream palour. 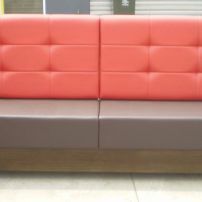 Suit all restaurant venues"
commented on "Restaurant Budget Seating or Chair Options for Melbourne areas"
commented on "Hospitality, Cafe, Restaurant, Hotel Seats - Banquette & Booth Seats Melbourne, Geelong, Gippsland"
Gazette Booth & Banquette Seating - very popular also in white and black. 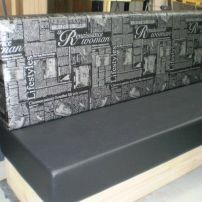 The Postmaster Banquette or Booth Seat is a very modern and stylish seat. 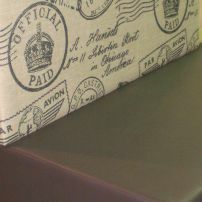 A very popular style! 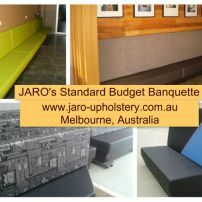 JARO Upholstery - Specialists in Booth & Banquette Seating. Affordable seating options!